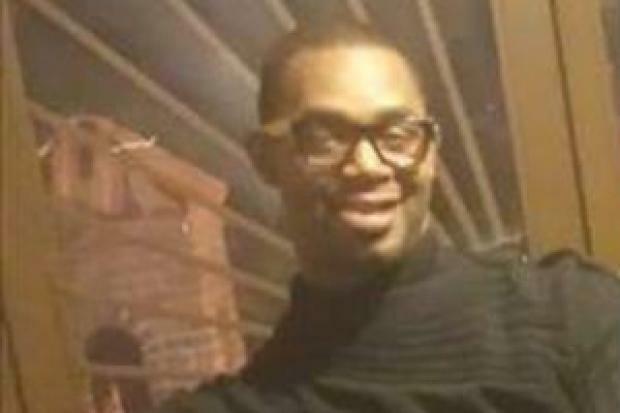 Delrawn Smalls was fatally shot by an off-duty NYPD officer in East New York, police said. 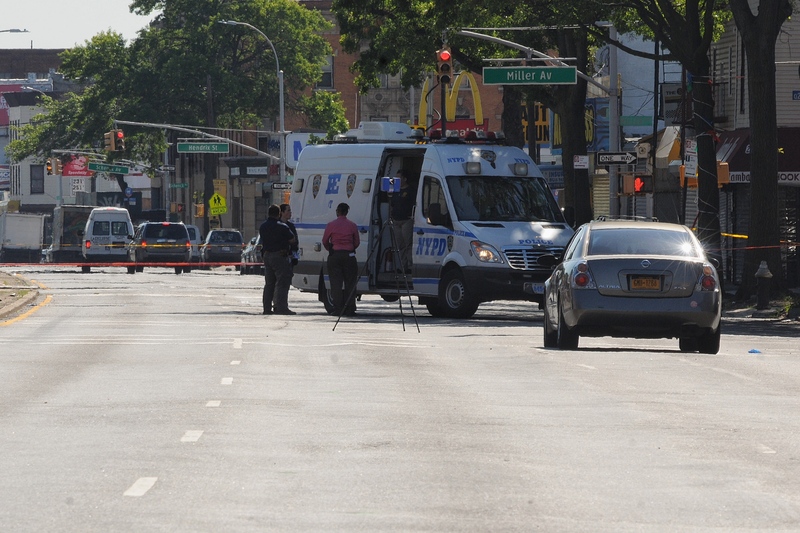 EAST NEW YORK — An off-duty officer fatally shot a man in front of his girlfriend and two children during a road rage feud in East New York early Monday morning, police and elected officials said. The officer was heading home after a tour of duty and was driving his Nissan Altima east on Atlantic Avenue when he got into a dispute with another driver, who the NYPD identified as Delrawn Smalls, 37, just minutes after midnight, officials said. Smalls, who was driving with his girlfriend, baby and teenage niece to a party, was cut off by the officer, according to State Assemblyman Charles Barron, who spoke to the family. Police didn't confirm Barron's account. When the two drivers stopped at a red light at Bradford Street, Smalls got out of his Kia Optima EX and started punching the officer through his open window, NYPD officials said. The officer pulled out his service weapon and shot Smalls, who was pronounced dead at the scene, police said. The officer suffered bruising to his head and was treated at Jamaica Medical Center, police said. Police did not immediately release the name of the officer, but said he was assigned to the 79 Precinct. Both the NYPD and the state's Attorney General's office are investigating the incident. NYPD Commissioner Bill Bratton said it was "too early... to draw conclusions" about what led to the shooting. Smalls' family was deeply distraught by his death, according to Assemblyman Barron, who has been talking to relatives in the aftermath. "They're hurting and some of us are outraged that an officer we pay to protect us couldn't defuse a situation when an unarmed person approached his car in a road rage incident," Barron said. "[Smalls] was going to celebrate with his family and now they have to go to a funeral," added the assemblyman, who represents East New York. Friends said Smalls, who had a baby boy in March, isn't quick to violence. "This guy's not even aggressive. He's quiet and calm," said Rudy Harry, 58, his building's super. "He's a really cool guy. I can't believe this," Harry added. Those who knew Smalls were skeptical of the NYPD's account of the shooting. "He just had his baby. He stays out of trouble. He's not going to be punching anyone," said Harry's daughter, Anella Harry, 25. "The officer had to pull out his gun [or] tried to fight him for something like this to happen," she added.